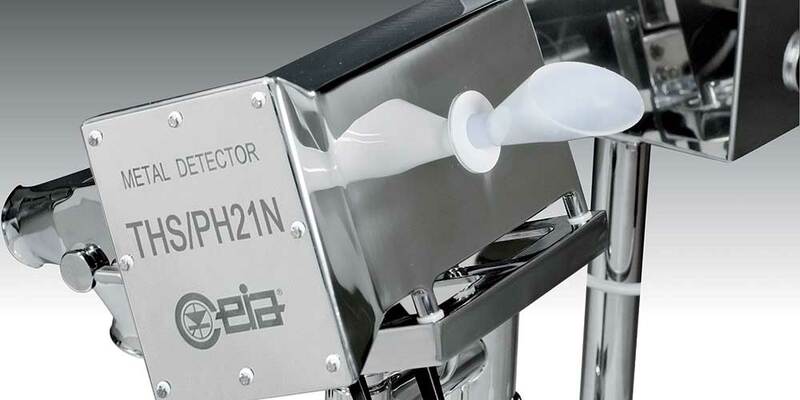 CEIA THS/PH21 Metal Detection Systems offer detection, construction quality and reliability characteristics that make them the most suitable and effective solution to automatic elimination of metal contaminants. Due to many cross-platform studies made by CEIA engineers, the THS Metal Detector Series 21 is highly immune to common radio frequencies and difficult environments typically found in industrial installations. The THS/PH21 Metal Detector Series is a high-sensitivity, high-precision measuring instrument. The response from the device is used to directly command ejection of the contaminated product and to verify that it has in fact been eliminated. FDA Code Title 21 Part 11 prescribes rigorous criteria for access to programming and computer data protection, which have been fully adopted in the CEIA THS/PH21 Series firmware. User access is only possible via a User Name and Password login under the control of the System Administrator, who programs and manages individual user profiles and user functions. As a result, the requirements for security, integrity and traceability are satisfied. 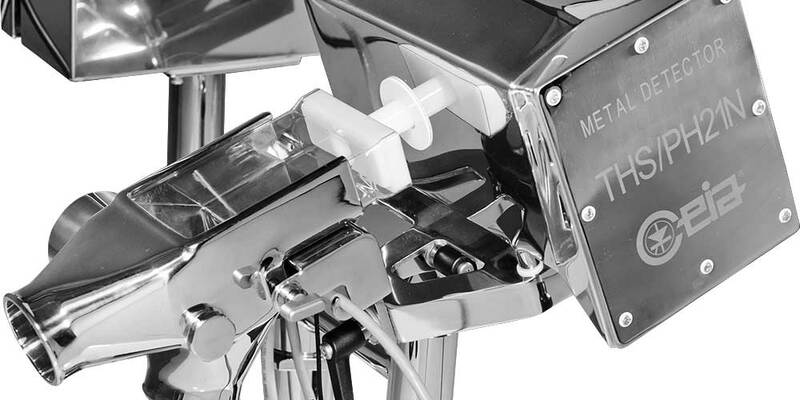 All events performed by the THS/PH21 Metal Detector are recorded in a data log to comply with FDA Part 11 protocol and assist in root cause analysis. The events include detection, ejection, program operations, passwords and periodic functional test phases using standard test samples. Special electronic stimuli are sent to the transmission and reception chain of the THS/PH21 Series Metal Detector, causing variations in the detection signals which provide checks on detection characteristics. These variations are compared with the reference values stored in the memory of the metal detector at the time of the factory calibration test. This produces an automatic certified check of the system’s sensitivity. The Auto-Learn System provides simultaneous maximum sensitivity to all metals starting from a single learning transit. The THS/PH21 Series employs an exclusive Auto-Learn system for pharmaceutical products, which allows optimization of the detection sensitivity to all metals with the maximum speed and precision, equivalent to hundreds of conventional learning transits. This results in levels of precision and efficiency never before obtained. 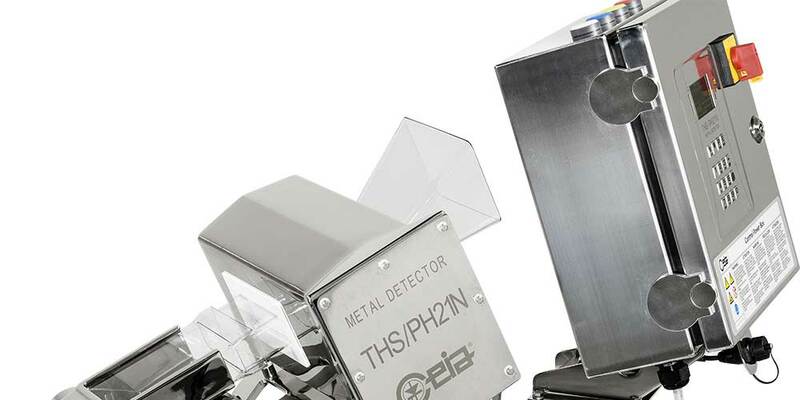 The THS/PH21 Series introduces new tools for the installation and maintenance technician to measure the environmental compatibility of the metal detector. These are functions that would otherwise have required the intervention of external instrumentation, now implemented in the microcomputer control of the device itself. The measurements include general mechanical and electromagnetic environmental compatibility. Rugged, antivandalic stainless steel keyboard. Organic graph display with extremely high contrast (3000:1) and a viewing angle up to 180°, and an extended alphanumeric keypad for quick keystrokes. Quick access function. A new function, activated simply by pressing a dedicated key, allows the most frequently-used functions to be directly recalled. These functions are programmable by the operator. 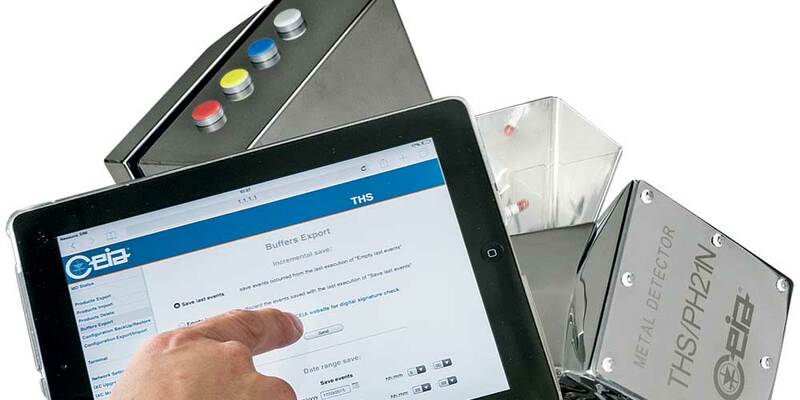 In the THS/PH21 Series, local connection to the maintenance technician’s computer no longer requires physical access to the interior of the detector or the use of unwieldy connection cables. The Bluetooth connection can be used for programming, monitoring of the signals via the CEIA MD-Scope program and the transfer of the data contained in the Metal Detector’s events memory. Eliminates electrostatic charges during the product’s passage. Particularly efficient in case of tablets and capsules’ inspection. Dust Tight Infeed conveyor eliminates electrostatic charges during the product’s passage. Particularly efficient in case of tablets and capsules’ inspection. Added sensor that activates when the reject bin is full with rejected products. When activated, an alarm message on the detector’s display warns the operator of the full condition. Allows USB connector of the IXC card to be mounted outside of the Power Control Box. Additional card that provides the detector a network Interface, (Ethernet or WiFi), integrated Webserver and a USB interface to save or load data relevant to the products, configuration, and events. This option also includes internal memory up to 100.000 events. License (enabling code) for each detector to be connected to THS Production software. Once enabled, it allows the operator to activate the THS Production functions. Software diagnostic tool (that can be installed on the user’s PC). Allows remote programming, signal input/output, review/analysis of alarms and amplitude of signal(s), and oscilloscope functionalities. Includes software, connector cable and a USB key. Detailed hardcopy document for process/equipment validation of detector. Detailed electronic document that can be downloaded through a link provided by CEIA SpA for process/equipment validation of detector.